A 55-year-old man presented with a right femoral murmur. His medical history included cardiac catheterization with right femoral vascular access, performed a few weeks earlier. 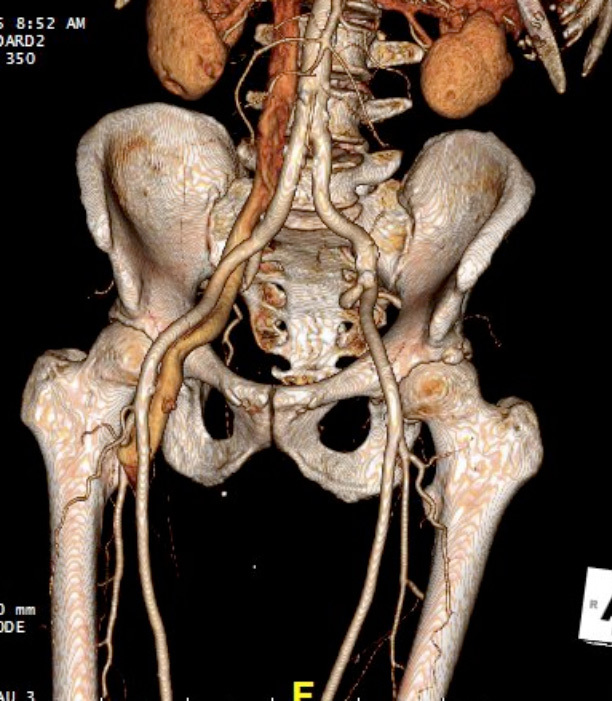 Contrast-enhanced spiral CT over the abdominal aorta and iliofemoral arteries was performed to look for complications of the vascular access.